If you're in between sizes and have a full cup (D+) and/or any tummy flaws, we recommend ordering up. The fabric is stretchy. 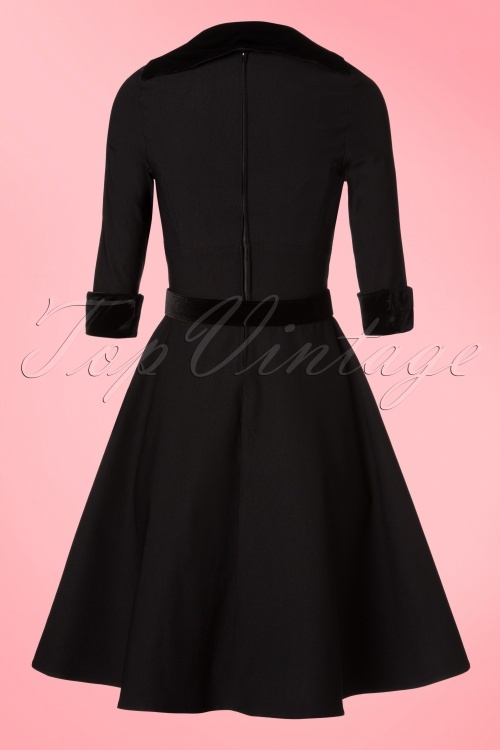 This 50s Lorelei Swing Dress is based on Marilyn Monroe's dress in the film 'Gentlemen Prefer Blondes' 1953 playing Lorelei Lee. 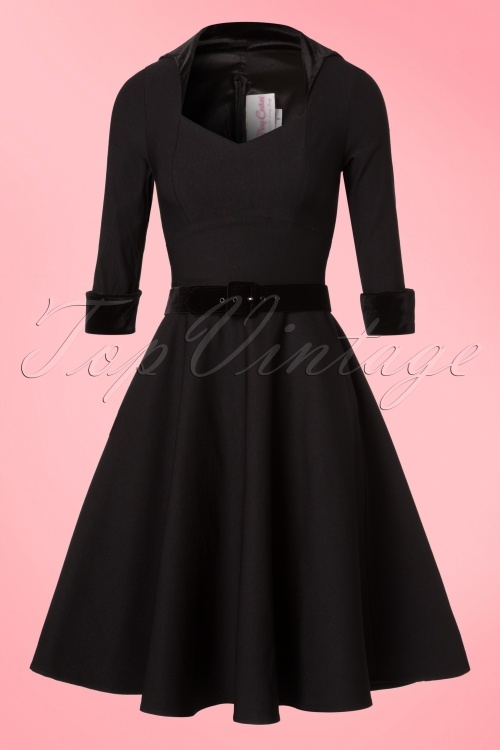 I have bought several fabulous dresses from TopVintage, but this was a slight disappointment. The size of the dress was correct and corresponded to the description. And the model hugs my curves in the right way. But the quality of the fabric didn't meet my expectations, it doesn't feel comfortable, even it is stretchy, because it is also very thick and stiff... in summer this dress is too hot to wear. 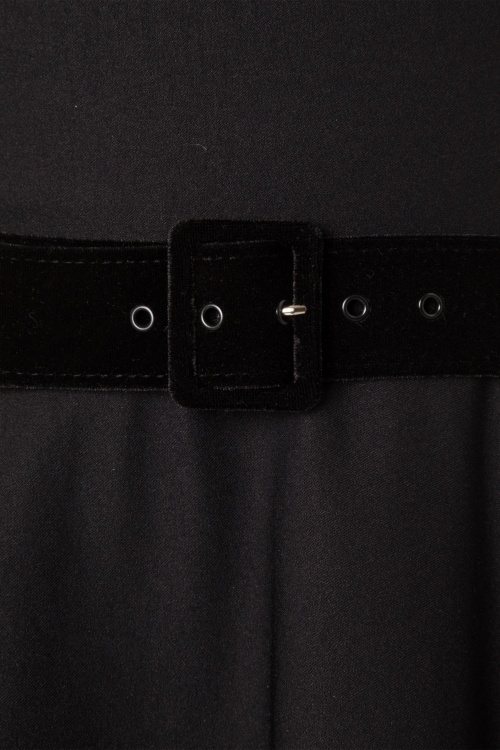 The side pockets should also have zips so they would not be pulled. However, I will keep the dress. After few repairs I might find it useful in winter.